A few days ago we received a request from one of our readers here in EdTech and mLearning asking about suggestions for apps to use on Chromebook to hold video chats with students. There are actually several options out there to try out but the ones we trust the most are Hangouts and Skype. These are particularly ideal for holding secure face-to-face video calls with up to 10 people in Hangouts and 24 people in Skype. All you need is a microphone and a built-in camera. 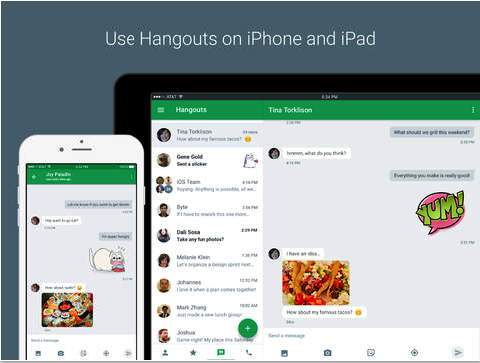 'Open Hangouts at hangouts.google.com or in Gmail. To start a group video call, for each person in your group, type their name and check the box in front of their name. Click the video icon . When you're done with your video call, you can leave by pointing to the bottom of the window and clicking the end call icon . You can invite your friends to a video call by sharing a link. At the top of the video call window, click the invite people icon . Click Copy link to share. It will be automatically copied to your clipboard. Unlike Hangouts, Skype allows you to invite up to 24 people to join your video call. For a better audio and video quality, you are required to have a high speed Internet connection. Skype is also available for mobile devices ( iOS, Android, and Windows Phone) so you can make video calls wherever you are and from whatever device you use. 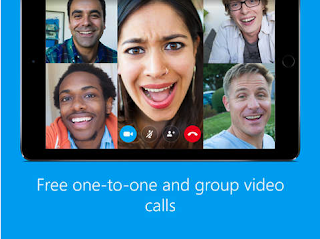 To learn more about how to make group video calling in Skype, check out this page.